ESCCK is now new member of the Federation of Official Spanish Chambers of Commerce in Europe, Africa, Asia and Oceania (FEDECOM). The Federation includes 19 external Chambers that strive to discover cooperative projects that encourage synergy. Among the Asian countries, the most notable Chambers are at Hong Kong, Shanghai, the Philippines, Japan, Qatar, and UAE. 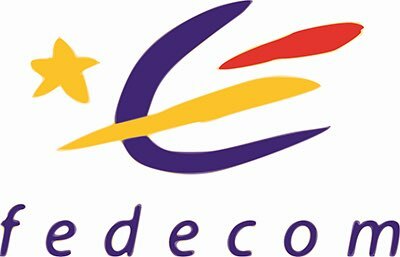 Fedecom held its Ordinary General Assembly last March 26th in Madrid. The meeting took place in the facilities of the Spanish Chamber of Commerce and was attended by representatives of the 19 member Chambers. During the meeting, the balance of last year’s activities and the state of the accounts were presented. Subsequently, the General Assembly unanimously appointed Eduardo Barrachina, President of the Official Spanish Chamber of Commerce in the United Kingdom, as new President of FEDECOM. The President said that “a medium-term strategy will be agreed to improve coordination and will allow us to set clear and realistic objectives”. Among other initiatives, the new President plans to collaborate actively with the Spanish Chamber of Commerce and the Secretary of State of Global Spain. The Assembly recognized Juan Rodriguez-Villa Matons for the work developed at the head of the federation during the last years. His management has been fundamental to establish a link between the foreign network and the Spanish Chamber of Commerce. The outgoing president expressed his support to Barrachina, as well as his complete disposition to continue collaborating in favor of the network of Official Spanish Chambers of Commerce abroad.